We visited Ithaca to attend an event which we also helped organize, the Mobilizing the Cooperative Economy in NY State Summit. This meeting built on momentum from summits held in Syracuse in 2012 and 2013. The 2012 Summit was focused on visibility, learning about each other’s work, general cooperative education, and networking. In 2013, the sessions centered more on technical assistance, strategizing cooperative incubation and growth, and cross-sector organizing. This summit also had broader sectoral and geographic participation than the previous one, including downstate solidarity economy organizers as well. Through these events, a conversation began between upstate and downstate groups, partially at the suggestion of the National Cooperative Business Association, to form a statewide alliance. Upstate organizers also met at the First Regional Conference of the NYS Sustainable Business Council in 2014 and again with downstate organizers at the Mobilizing the Cooperative Economy in NY State Summit in November 2014. This trip was focused on building stronger relationships among organizers involved in the New York Cooperative Network. In an attempt to build a body of research on shared needs and resources, similar to what SolidarityNYC did to support CEANYC, we conducted recorded interviews with several cooperatives in the upstate area. We hoped to create relationships, build shared analysis, and increase awareness amongst the group of our challenges and shared vision while also bridging the gap between upstate and downstate groups. This convening was different from the past summits in that it had no presenters or workshops, but instead was focused on several strategic questions and identifying next steps for solidifying the network. The meeting began with each participant introducing themselves and sharing what their membership wanted in general and from a broader cooperative network. The organizations present had a wide variety of needs and goals, from building local awareness of the co-op advantage to boosting sales and incubating new initiatives. There was a broad discussion models of cooperative collaboration around the country and their successes and challenges. After this, smaller groups were tasked with identifying potential models for a the New York Cooperative Network. Many ideas were proposed for tools at both the local and statewide scales, including bundling membership to multiple coops in a given municipality. In this scenario, membership funds would go to a shared co-op loan fund held by a credit union, acting as a joint liability fund similar to the one the National Cooperative Grocers Association (NCGA) has, but at municipal scale. Also discussed were hiring or partnering with a lobbyist to advocate for co-op friendly state policy, and better tools for peer to peer sharing among coops. One proposal outlined a web-based hub directed by an association in which the dues paying members receive values centered marketing, educational content, social media assistance, business to business connections, and incubation resources. “Like a chamber of commerce but for cooperatives,” as one participant put it. Late in the day there was a push for next steps and concrete deliverables. These included organizing another statewide summit, creating a statewide co-op directory, building a web forum for discussion, and writing an article about the discussions and progress that has been made. One participant mentioned that they were already working with a lawyer about potential legal structures for the network. There was also an extensive discussion about how to best define membership for the network. Greenstar was kind enough to host this gathering and also do much of the logistical coordination surrounding it. Their recognition that they are a more established and better resourced co-op than most in the room, and their willingness to step into these roles was crucial to the success of the event. Realizing and using one's advantages to help grow the movement is crucial to building cross-sector collaboration and to the success for the movement in general. The Park Slope Food Co-op has recognized that it is in a similar position in NYC and has provided member labor and space for meetings in support of CEANYC organizing. The variety of scales represented created a unique set of challenges. Co-ops within a given municipality usually have good knowledge of each other, but not of similar groups outside their area unless they are members of a sectoral group like the NCGA. One participant suggested a spokescouncil model for the New York Cooperative Network as a way of organizing across diverse scales, in which “local, smaller regional caucuses, as well as sectoral networks could then come together into a state wide organization. Recognizing that at the more local / regional level, as well as on the sectoral level, there are certain things that are shared / work that can be achieved together.” – Noemi Giszpenc. This speaks to the importance of keeping subsidiarity in mind while organizing. There was broad agreement that meeting in person was important for collaboration. “I think these face to face meetings, while difficult for people, are important for forming relationships. You could organize little regional meetings, not everyone would have to come to everything. But it's a lot easier to collaborate on the web if you know the person.” – Noemi Giszpenc. This insight that in-person meetings facilitate digital collaboration is important for organizers working to connect groups across large distances, as a balance of both is crucial to making work both efficient but also personal and engaging enough to maintain momentum. Intentionally bringing as many stakeholders as possible together on a routine basis as well as providing robust tools for online communication are key strategies for moving cross-sectoral networks forward. There was much discussion but not clear agreement on who the prospective field of membership for the New York Cooperative Network would include. Some participants favored all cooperatives in New York state, while others thought a broader definition would be better. There was a concern that solidarity economy language could sound too radical to some of the more conservative (but important and well resourced) agricultural co-ops. A potential compromise was proposed in which regional associations would be free to define membership as they see fit and the regional groups would be members of the statewide group, which could have broader criteria. 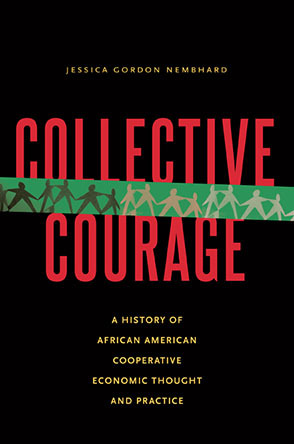 This would allow, for example, a southern association united by solidarity economy values, a northern association of just cooperatives, an eastern association of cooperatives and nonprofits, and a western association of cooperatives and democratic B corporations to all be members of a statewide organization. In addition to shared values, participants discussed the need for different categories of membership. This raises an important point about inclusivity and accessibility, and also about balancing power so that the voices of all stakeholders are heard in decision making. One proposed solution to this was using sliding scale dues for membership. This would likely help, but much care must be taken into how they are structured such that benefits are clear and network prioritizes the needs of all members. CEANYC has faced these challenges too in trying to ensure membership dues have tangible returns on investment. CEANYC currently has no dues, but likely will once the membership decides on them. Still, some groups have been hesitant to join due to uncertainty about the benefit to them and a distinction between the benefits of a cross-sectoral network as opposed to a sectoral network they are already a member of. Smaller or newer co-ops operating at the margins can be resistant to signing up for yet another commitment that will require time and money without clearly articulated and distinct benefits. Their needs must be centered as well as those of the better resourced groups that have more time to dedicate to network building process. The differing views over how to define membership were rooted largely in differences of context and perspective. These fall somewhat along geographic and demographic lines. In New York City, the majority of the participants in the cooperative economy are women of color, and so downstate organizers focus on shared values of racial, economic, and gender justice in their organizing. Using a solidarity economy framework they seek to build power for marginalized communities and include groups that are not necessarily traditional cooperatives. The demographics and economic history and present of upstate New York are different, where the story of economic cooperation has mostly focused on agricultural co-ops and credit unions in predominantly white and rural areas. Thus the majority of upstate participants seemed most interested in organizing a business association for cooperatives, with the Rochdale Principles as the unifying values. This is not to say that these statements are absolutely true for both regions, nor that cooperation between them is impossible. There are are groups and initiatives across the state with a broad range of values and recognizing these differences in values and contexts so that we can both build shared analysis and work pluralistically is important. There have been strong cooperative alliances between upstate and downstate before and more investigation is needed into past links between rural and urban coops and how we could apply those lessons today. 1. How much can be done without funding? There was uncertainty in the room about how much movement could be made before funding was secured for the New York Cooperative Network. A chicken and egg problem seemed to emerge in which all stakeholders agreed that a network would be mutually beneficial but it was difficult for any group to carry the work without funding expressly for that purpose. Similarly, the need for a group to be coordinating this work, keeping things moving forward, doing the necessary research, and keeping everyone accountable was apparent. However, it was unclear who was best positioned to step into that role and no group seemed able to step into it in a volunteer capacity. There was a feeling that the National Cooperative Business Association (NCBA) “would partially fund a staff person if we had a clear mission, [and] defined geography” (Joe Marraffino) and a sense of urgency to define all this as other regions were seen to be competing for this funding. Coordination is crucial in a broad and democratic process such as this, and a more defined and consistent facilitating body could likely have streamlined these discussions. As Brain Henahan noted during the summit: “Coalition success depends on management, who is coordinating, administering and doing the education and communications.” We have felt this tension acutely in NYC. As an all-volunteer collective incubating CEANYC we have constantly sought funding while also carrying forward the necessary coordination work without it so as not to lose momentum. We have also convened a steering committee of the most interested stakeholders to guide and assist in our coordination work. Flowing out of conversations at this summit, the New York Cooperative Network is exploring a collaboration with the Cooperative Development Institute to concertize its structure and future plans, which will likely help it resolve questions of funding and coordination. Determining when to partner with existing groups outside the movement with shared interests and when to build and staff organizations and initiatives was an issue that arose multiple times in the meeting, particularly around lobbying. Because lobbying staff would be expensive and requires a particular expertise, it could be a better strategy to partner with a like-minded group for this such as the “newly formed NY Sustainable Business Council, meeting in Binghamton. That type of organization might pick up a cooperative policy recommendation and work with us to develop it.” – Frank Cetera. This point raises the importance of a research process to identify potential allies both inside and outside of existing networks and movements.